Claremont, Calif. (January 23, 2019)—Award-winning journalist and California water historian Mark Arax will deliver the 2019 John D. Sullivan Memorial Lecture at Pitzer College on February 15. 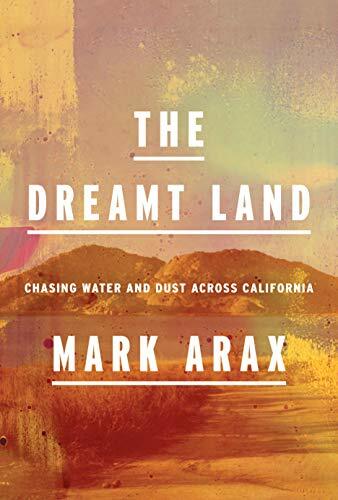 Drawing on his forthcoming book, The Dreamt Land: Chasing Dust and Water Across California, Arax will explore California’s complicated relationship to water, ranging from the state’s century-old water distribution system to its recent drought-plagued decade. 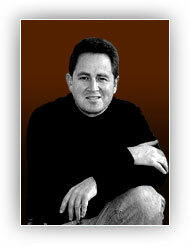 A former Los Angeles Times reporter, Arax has chronicled California throughout his career, digging “deep into the dirt of the Golden State.” He co-authored The King of California: JG Boswell and the Making of A Secret American Empire, which won a 2004 California Book Award and the 2005 William Saroyan International Writing Prize. The Atlantic described his 2009 collection of stories, West of the West—Dreamers, Believers, Builders, And Killers In The Golden State, as a “lucid, harrowing and comical” portrait of modern California. Arax has taught literary nonfiction at Claremont McKenna College and Fresno State University and served as a senior policy director for the California Senate Majority Leader. Hosted by Pitzer’s Robert Redford Conservancy for Southern California Sustainability, the Sullivan Lecture honors the late John “Jack” Sullivan, a professor of political studies at the College from 1975 to 2007. Sullivan arrived at Pitzer as a Stanford-educated political scientist specializing in international relations but soon became an expert on California public policy issues, especially those related to water politics and natural resource management. Previous speakers in the Sullivan Lecture series include Juliet Christian Smith of the Union of Concerned Scientists and water policy experts Kristin Dobbin ’13 and Cynthia Koehler, executive director of WaterNow Alliance. Established in 2012, the Robert Redford Conservancy for Southern California Sustainability at Pitzer College is a leader in innovative academic programming and interdisciplinary education around environmental challenges. Academically driven by the liberal arts and guided by Pitzer College’s core values of environmental sustainability and social responsibility, the Redford Conservancy engages interdisciplinary and collaborative approaches to environmental problem solving. The 2019 John D. Sullivan Memorial Lecture will be held in Pitzer’s Benson Auditorium on Friday, February 15, from 3 to 5 p.m. For more information, contact Redford Conservancy Director Brinda Sarathy at brinda_sarathy@pitzer.edu. This event is part of Pitzer College’s Family Weekend 2019.